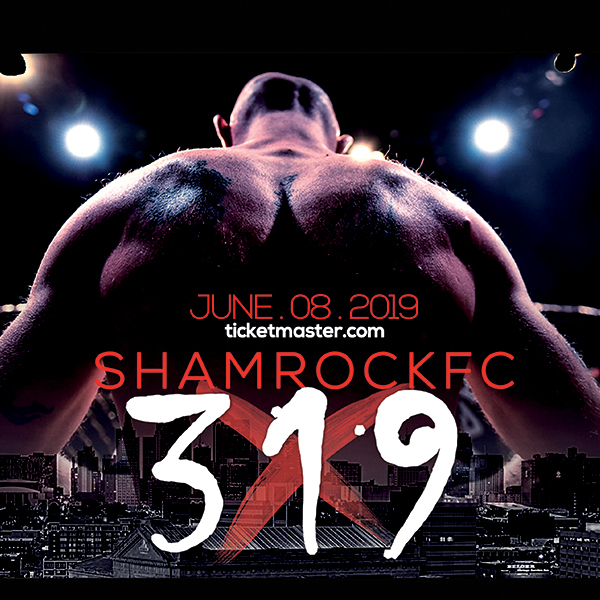 Unless you've been hiding under a rock in the Ozarks, you may have heard that our own Zach Freeman has a pretty big fight coming up. Freeman will be called to the stage in one of the most hallowed halls in sport, Madison Square Garden. On Saturday he faces the combat sports wunderkind that is 20-year-old Californian Aaron Pico. We're not going to dive into Pico's wrestling dossier. We've all been over that and it is worth a look-see. A born and bred fighter from St. Charles who came up through the sometimes-shady and undocumented amateur scene in the mid-to-late-2000s and then built his name and record and hardly ever leaving far from here to do it. “The Altar Boy” is now 33. With a career away from the cage, a wife, the whole bit. He's been on the verge of big-time success before, knocking on the door, chasing those three beacon-like letters of MMA that a select few of his training partners reached. 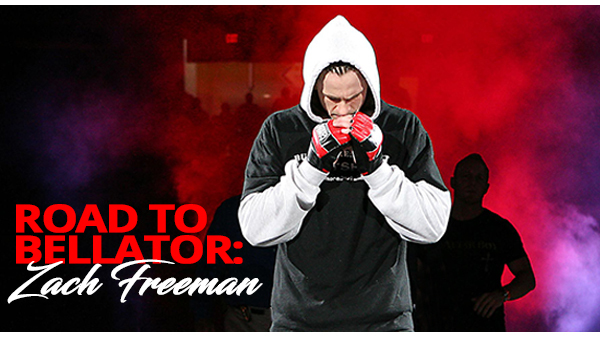 Freeman is the last of a generation of fighters from St. Charles MMA. It began when now-UFC welterweight champion Tyron Woodley got his start there. Then welterweight Lance Benoist dashed onto the scene, earned a UFC contract, and made a four-fight run, next came the flyweight duo of Josh Sampo and Alp Ozkilic and then Andrew Sanchez winning The Ultimate Fighter in 2016. On Saturday night, Zach Freeman is going to try to lasso a lightning bolt, plant his own big-time MMA flag. Twice in the last two years, the clouds have parted and calls for big-time fights have been made to his cellphone. Promotions like tough guys who can bang, have little head movement and know how to take a punch. But for now take a brief trip through the fight career that is Zach Freeman's with perspective given from many who were either front-and-center or tucked somewhere behind the scenes – for Zach Freeman: Road to Bellator: NY. Suit and an office by day, a gym filled with sweat by night, Jeff Henry is a longtime coach/trainer, first at the defunct Domain MMA and now at St. Charles MMA. Henry has been a coach, cheerleader, and confidant of Freeman's for many years and he will be in his corner again for Bellator: NYC. Henry and Freeman have built a strong relationship and whenever whatever Freeman has tackled in the realm of combat sports and life, Henry has been an ear, a slightly-cauliflowered one at that. By the time the 2000s turned into the 2010s, Domain MMA had merged with Mike Rogers' well-established St. Charles MMA. Freeman, Jake Roberts (who eventually made it to Bellator), and Matt Helm were among the additions to the team. Freeman was a fight or two away from turning pro. Jim Jenkins is a longtime St. Louis-area promoter and matchmaker and a key early figure in St. Louis combat sports. Jenkins – more or less – matched five of Freeman's 10 fights as a pro. Freeman made his pro debut with a first-round TKO over Coty Cook for one of Jenkins' shows in the summer of 2011. Freeman won three fights from July until the end of 2011. By the summer of 2012 Freeman was 5-0 but had never been out of the first round and in four of those bouts, he never got past 94 seconds of work. Jenkins then matched Freeman up with Aaron Derrow for a Rumble Time event. Freeman improved to 6-0 but had to dig deep in a nail-biter of a third round. While the previous two rounds had been mostly a ground battle, Derrow started the final five minutes peppering the visibly-tired Freeman with jabs. Freeman would eventually connect with a powerful overhand right that broke open Derrow (who then dropped to 12-4). From late 2011 thru early 2013, Freeman was the face of the franchise for Fight Hard MMA. Freeman main evented three of its shows was featured on the cover of the promotions magazine and earned guest spots on Fight Hard's short-run television show. Freeman is still considered the Fight Hard lightweight champion. Freeman etched his name into St. Louis MMA lore on the night of January 19, 2013, in a Fight Hard MMA event. Freeman and Rob Washington rattled the rafters and sent a packed Family Arena home fulfilled. The two lightweights made a near-perfect blend of tenaciousness and talent, resiliency, and knack. Freeman remained undefeated and won a three-round 30-27 unanimous decision, earning the first-ever Fight Hard MMA lightweight championship. His thunderous slam of Washington near the end of the third-round bell put an emphatic stamp on his achievement. While all three rounds went to Freeman (7-0), all were close and loaded with action. Later in 2013, Jenkins helped introduce Freeman to then-Titan FC president Joe Kelly, who paired the then 7-0 Freeman against Jake Lindsey (also unbeaten at the time) in a co-main event that aired live on AXS-TV. Freeman lost. He looked good early. Grimy, forehead planted firmly under Lindsey's chin in the clench. But Freeman would swing wildly, get a little discouraged, and then he got clipped. And much like he had done to fighters on the way up it was now Freeman on the canvas, absorbing a rainfall of punches before the referee waved it off not even half-way through the first round. Freeman dove into grappling, competing on the first-ever Respect Professional BJJ event held in St. Louis as a purple belt and winning. He would eventually earn his BJJ brown belt. Fast forward to the summer of 2016 and when word broke that Freeman would be getting a crack at an RFA title, many were surprised. Other than putting on his gi, Freeman was rarely seen. He found a great job that he was good at. And he fell in love. But an opportunity came knocking again in the form of an old friend. Patrick Smith is the President of Cage Championships and he and JW. Wright are the tandem behind Respect BJJ. Smith's alliance with LFA President Ed Soares led to Freeman nailing down a fight with Thiago Moises for the RFA lightweight title in September 2016. Smith - who is also known as the coach and trainer for UFC vet and former RFA middleweight champion, Jake Collier – is often credited along with Bellator cutman Matt Marsden (a longtime teammate of Freeman's at SCMMA) with helping to get the Bellator-Pico-Freeman marriage made. For some Freeman fans, the Moises fight was too much to bare. After a nice first round, his offense was relegated to near nothing thanks to a busted hand. As the minutes and the rounds passed by Freeman was in zombie mode and the threat of something violent happening to him hung like certainty in the air. But it never did. In fact, a one-handed and battered and bruised Freeman still made a go of things in the fifth round but there was no escaping the verdict that was a unanimous decision loss. All parties involved were over the moon when news broke of the Pico fight. Freeman was getting another trip up to the plate, another hack at MMA fame beyond the Show-Me State. Many, like Jenkins, were dumbfounded on the match-up. Henry has been part of the team helping design a one-of-a-kind fight plan, a strategy for a fighter who has never competed in this sport before. At this point in both of their careers, Freeman and Rogers are sages in the way of MMA. They know who the Bellator brass wants to win. They know why Freeman was brought to New York. In their perfect world, Aaron Pico will be splashed across SportsCenter on Sunday morning. The armchair quarterbacks feel Freeman's only chance to win is via submission and that is pretty good bet. But at the end of the day, you can throw all of the analysis out the window. MMA is many things, part street fight, part rules-based competition among them.